NAMASTE, ROWAN: Thoughts for the weekend: Is blogging really about the writing? 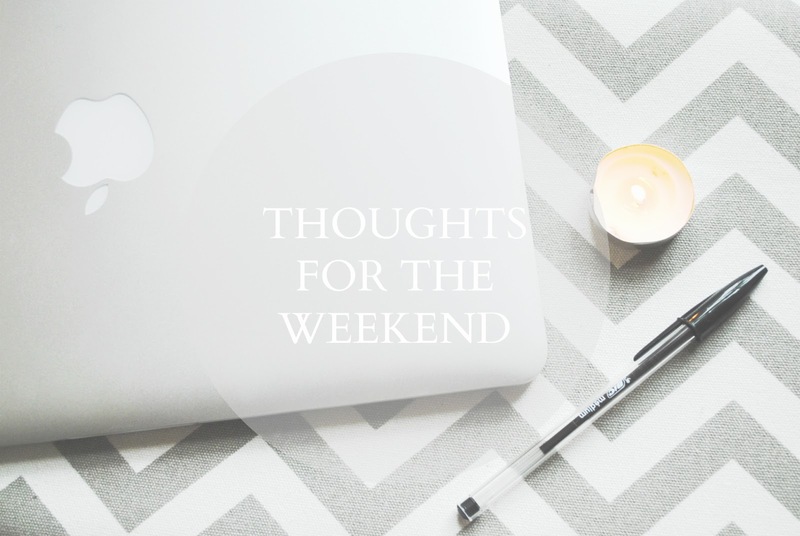 Thoughts for the weekend: Is blogging really about the writing? As I mentioned in the last Weekly Roundup, I recently read Beth's post on whether photography is more valued than writing in the blogging world, and it's a subject I feel quite conflicted over. I'm a very visual person, and I have been interested in photography for a good number of years now, even going as far as studying it at A-level, but writing has also been a longstanding passion of mine, and it's the primary reason I started Namaste, Rowan. For me, blogging is about combining these two passions; it's about writing posts which are not only engaging and enjoyable to read, but are also eloquently written with proper spelling and grammar, and then using beautiful images to not only break up the text, but also to draw readers in before they even read the first word. Now, as Beth says, there are many blogs out there which are full of beautiful, professional-quality images, and it seems as though those blogs tend to be the most successful, which makes a lot of sense; after all, who doesn't enjoy looking at lovely photographs? However, while I've no doubt that the vast majority of those bloggers are as talented with their words as they are with their photographs, there's no escaping the fact there are blogs out there with gorgeous images and not-so-great writing which get lots of attention, while it seems that blogs with excellent writing and not-so-great images get much less attention, suggesting that readers tend to value photographs over writing. And this is where my internal conflict arises; on the one hand my passion lies with writing, and part of me is inclined to say that writing should come before photography, but on the other hand I really appreciate good photography and can be quite perfectionistic when it comes to taking photos for Namaste, Rowan, placing a lot of value on the images on my blog. So where does this leave me? Do I stand in the photography camp or the writing camp? Truthfully, I think I have one foot in each. Much as I believe that blogging is ultimately about writing, and writing well, I also believe that images can really bring a post to life and provide visual stimulation to accompany a piece of text, which I feel is important, too. So, to my mind, the key to a successful blog is to have a balance of the two; to be able to write in an engaging and intelligent way, and to also be able to take or produce (or even source, if you prefer to find your images online) images which complement your writing and the overall style of your blog. That being said, you don't have to be an expert photographer or the next best-selling writer; you simply have to love what you do and give it your all, and chances are the outcome will be great. Do you think blogging is more about writing or photography? Or do you share my view that it's about having a balance of both?